New research publish in Science has discovered previously unrecognised neural mechanisms underlying the way mammals make their way about the world. Previous research has found that the brain contains at least three different cell types, which cooperate to encode neural representations of an animal's location and movements. Neurons called place cells fire when an animal is in a specific location, grid cells activate periodically as the animal moves around, and finally head direction cells fire when a mammal moves in a particular direction. Together these cells, which are located in the hippocampus, appear to encode the animal's current location within the environment by tracking the distance and direction of its movements. However, it does not explain exactly how the animal gets to a specific destination. This led to the current study. Researchers trained Egyptian fruit bats to fly in complicated paths and then land at a specific location where they would eat and rest. The scientists recorded the activity of 309 hippocampal neurons with a wireless electrode array. 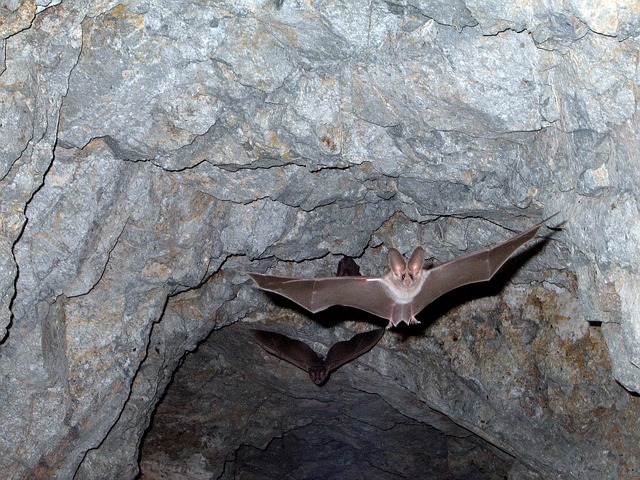 They found that a third of the neurons showed characteristics of place cells, but also identified 58 cells that fired only when the bats were flying directly toward the landing site. The reserachers called this type of neuron 'goal-direction cells'. The new cell continued to fire when the landing site was hidden from the bats view by a curtain, which means that the representation of goals in the bats hippocampus was not just sensory-based but also memory-based. This research could help to explain why rats with a damaged hippocampus have difficulty remembering the location of a submerged platform within a water maze. The findings also validate previous research that humans have some sort of 'homing signal' on a cellular level.